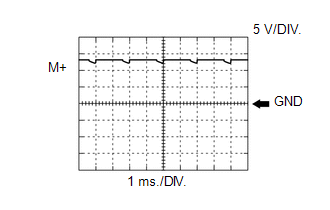 The standard voltage between each pair of ECM terminals is shown in the table below. 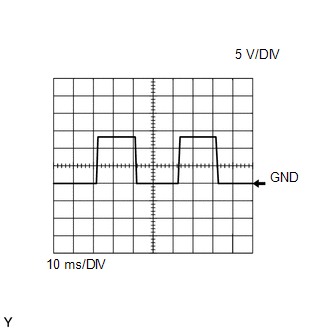 The appropriate conditions for checking each pair of terminals are also indicated. 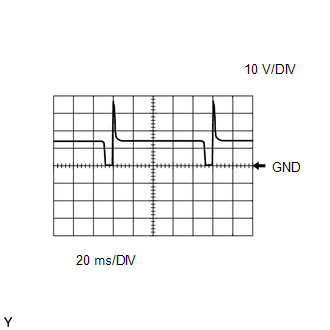 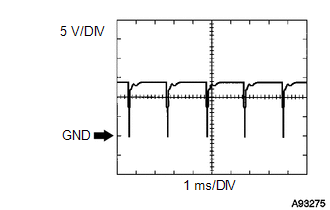 The result of checks should be compared with the standard voltage for that pair of terminals, displayed in the Specified Condition column. 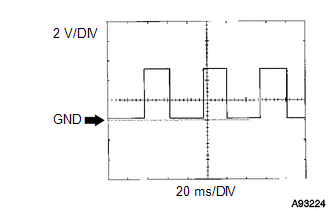 The illustration above can be used as a reference to identify the ECM terminal locations. 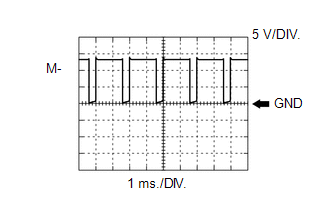 *1: The ECM terminal voltage is constant regardless of the output voltage shown on the Techstream. 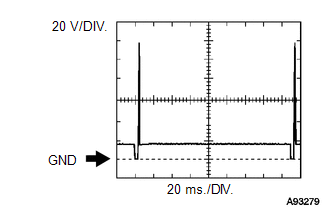 In the Data List, item O2S B1S2 shows the ECM input values from the heated oxygen sensor. 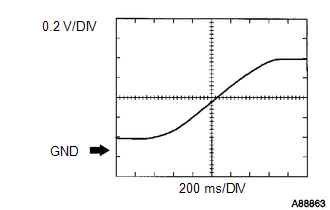 The wavelength becomes shorter as the engine speed increases. 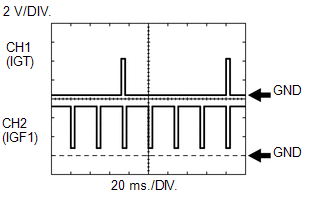 The waveforms and amplitudes displayed differ slightly depending on the vehicle. 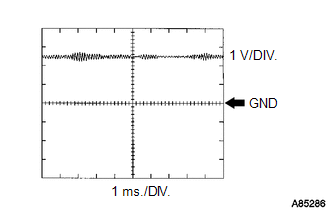 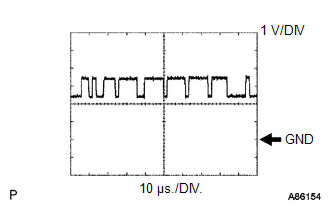 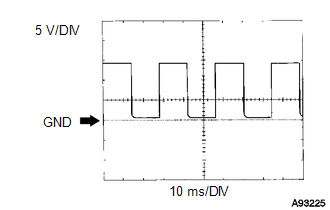 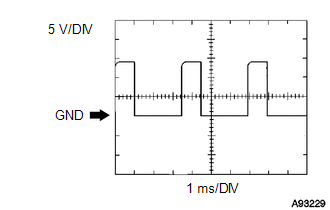 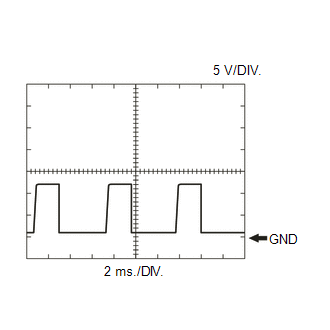 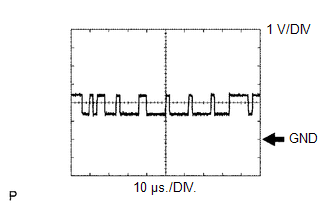 If the waveform is not similar to the illustration, check the waveform again after idling for 10 minutes or more. 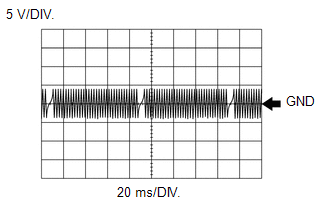 The wavelength becomes shorter as the vehicle speed increases. 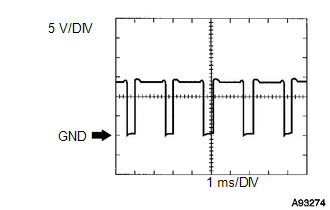 The duty ratio varies depending on the throttle actuator operation. 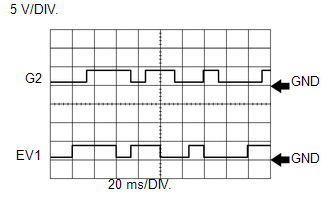 The waveform varies depending on the CAN communication signal.